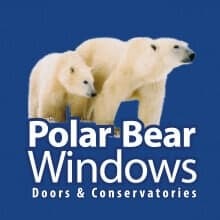 Polar Bear don’t just do windows and conservatories. We offer a whole range of products to customers in Bristol, Bath and beyond, including fascias and soffits, roof skylights, flat roofs, Guardian warm roofs – the county’s leading warm roof supplier – composite wood garden rooms, decking , fencing and balustrades. We also undertake building work including drive-ways and paths. Home improvements are Polar Bear’s forte and we do it better than most. All work is generously guaranteed and very competitively priced.